There were at least three smoldering jazz bands, one banjo player plucking his way to the summer music festivals in Australia, a video team recording a trio of enthusiastic Irish dancers and a group of unseasonably dressed Amish Mennonites, all competing for cultic currency in the park on Saturday afternoon. But in the hottest week of a belated summer, the only place to be was the children’s water fountain playground. Fortunately all the children were running amuck with oversized water pistols at the time, so this adult could commandeer a little cool…. 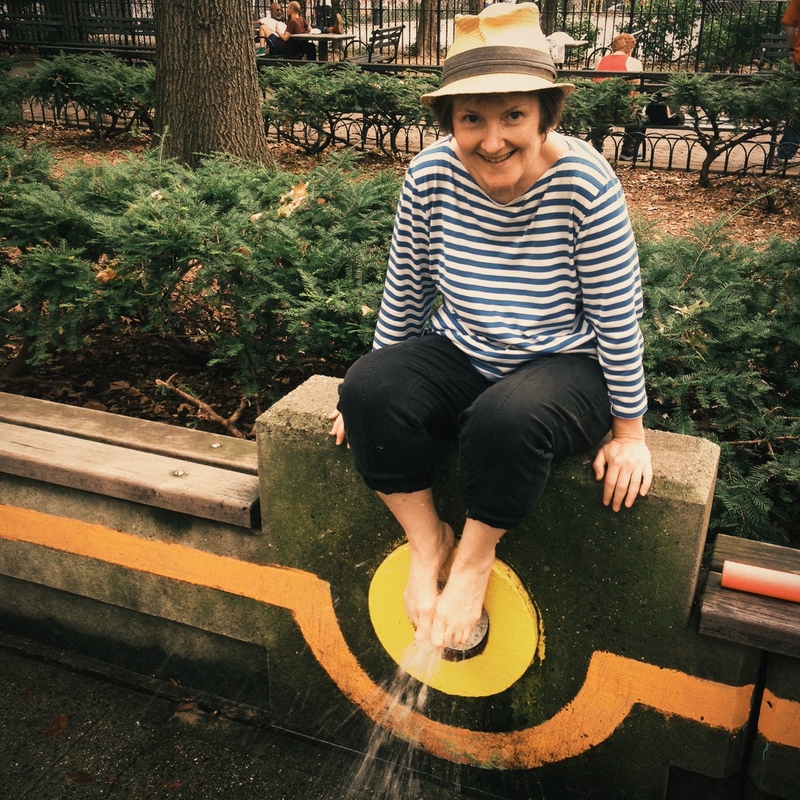 This entry was posted in Fun, Uncategorized and tagged NYC summer. Bookmark the permalink.